How do you want to erase your acne? With a pill? A cream? Or an acne body wash? Although each of these methods has the potential to be very effective, acne body washes are quickly becoming some of the most popular acne-fighting products. They often outrank other types of products in terms of safety and effectiveness too. If you’re considering using an acne body wash to wash away your skin woes, here’s everything you need to know in order to make the best choice. Do Acne Body Washes Work? The only real difference between an acne body wash and other products that treat acne is that instead of swallowing some pills or applying a cream to your skin, you apply the product to your skin and then wash it off. As long as an acne body wash uses high-quality ingredients that have been clinically proven, it can be just as–if not more–safe and effective as a pill or cream. A high-quality acne body wash generally does three things. First, it uses ingredients that kill acne-causing bacteria on contact. Bacterial infections are the #1 cause of skin inflammation and acne breakouts. By eliminating bacteria from the skin, a body wash can significantly cut down on existing and future acne problems. Second, an acne body wash cleanses the skin. Contrary to popular belief, eating greasy food or getting dirt on your skin does not cause pimples to form. However, dead skin cells and an overproduction of sebum does cause pores to clog, which creates an optimal environment for bacterial infections. By cleaning dead skin cells and excess sebum from your skin, a good acne body wash prevents another major cause of acne. Third, a body wash nourishes and protects your skin. Most high-qualtiy acne body washes have vitamins, minerals, and antioxidants in their formulas. Although they don’t sit on your skin for more than a few minutes before being washed off, these ingredients can help prevent acne breakouts and improve skin health. •	Benzoyl Peroxide – Proven to fight the bacteria that cause acne by introducing oxygen into pores. 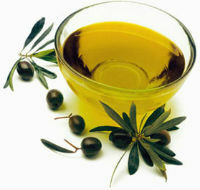 •	Tea Tree Oil – Works similarly to Benzoyl Peroxide, but it’s not as harsh on the skin. This ingredient has been clinically proven. •	Azelaic Acid – Research shows that this ingredient can stop the growth of bacteria. •	Green Tea Extract – Has powerful antibacterial properties because it is full of antioxidants. •	Salicylic Acid – Besides preventing redness and swelling, this powerful ingredient unblocks pores and shrinks pimples. •	Sulfur – Eliminates dead skin cells and removes excess oil. •	White Willow – Helps control oil production and exfoliates the skin to prevent pores from clogging. •	DMAE – Prevents side effects that might be caused by powerful acne-fighting ingredients. DMAE also reduces swelling, irritation, and redness and helps strengthen skin. •	Vitamin A – Proven to heal and repair skin and improve resistance to infections. •	Vitamin C – Research has found that Vitamin C boosts collagen production, helps skin heal, and protects skin cells from damage. Which Products Are the Best? If you want to wash away bacteria, impurities, and your acne; you’ll need a product from the top of the charts, not from a grocery store shelf. Two of the best acne washes on the market right now are Nanocleanse and Pronexin. Each of these products has several of the ingredients listed above plus several more. Positive customer reviews, 100% money back guarantees, and affordable prices are three more of the reasons why Nanocleanse and Pronexin wash away the competition in the field of Best Acne Body Wash.
You can learn more about Nanocleanse or get the low-down on Pronexin by reading these reviews. Comments on "What is the Best Acne Body Wash?" Leave a Comment about What is the Best Acne Body Wash? here. Thanks for the comment, Sherry! Pronexin is definitely a good option; although I’m not sure that there is a free sample, I know that its company offers a money back guarantee if you want to return Pronexin. You can visit Pronexin.com if you want to see more options about Pronexin.